Record Company – Sundazed Music, Inc. The complete 1960s singles, reproduced in the mono mixes with original artwork. Comes with a postcard and 4-page booklet. Mastered at Sundazed Studios, Coxsackie, NY. Single One: Originally issued as The Velvet Underground And Nico (3) - All Tomorrow's Parties , Verve VK-10427, July 1966. Both tracks recorded April 1966 at Scepter Studios, New York, NY and May 1966 at T.T.G. Studios, Hollywood, CA. Single Two: Originally issued as Verve VK-10466, Dec. 1966. Track C: Master number 101592. Recorded November 1966 at Mayfair Recording Studios, New York, NY. Track D: Master number 100903. Recorded April 1966 at Scepter Studios, New York, NY and May 1966 at T.T.G. Studios, Hollywood, CA. 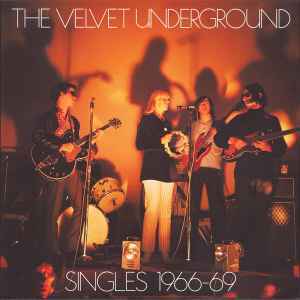 Single Three: Originally issued as The Velvet Underground - White Light/White Heat / Here She Comes Now, Verve VK-10560 Nov. 1967. Both tracks recorded September 1967 at Mayfair Recording Studios, New York, NY. Tracks I & J: No master numbers assigned. Recorded February 13 and 14, 1968 at A&R Studios, New York, NY. Single Six: Originally issued as MGM K-14057, March 1969. Track K: Master number 106163. Track L: Master number 106164. Both tracks recorded November/December 1968 at T.T.G. Studios, Hollywood, CA. Single Seven: Originally issued as MGM VU-1, March 1969. Tracks M & N: Promotional radio spot featuring the WNEW-FM radio personality. Featuring excerpts of "I'm Set Free," "What Goes On" and "Beginning To See The Light." (1-2LP /3-4CD Special postage cost to Poland, Austria, Slovakia, Hungary up to 2kg: 6,9 euro) ! All reliable packaging; registered mail (airmail)! Please note that we are a retail record store and that some items may sell in our store before we can remove it from Discogs, we are very sorry if a record your order is not available.